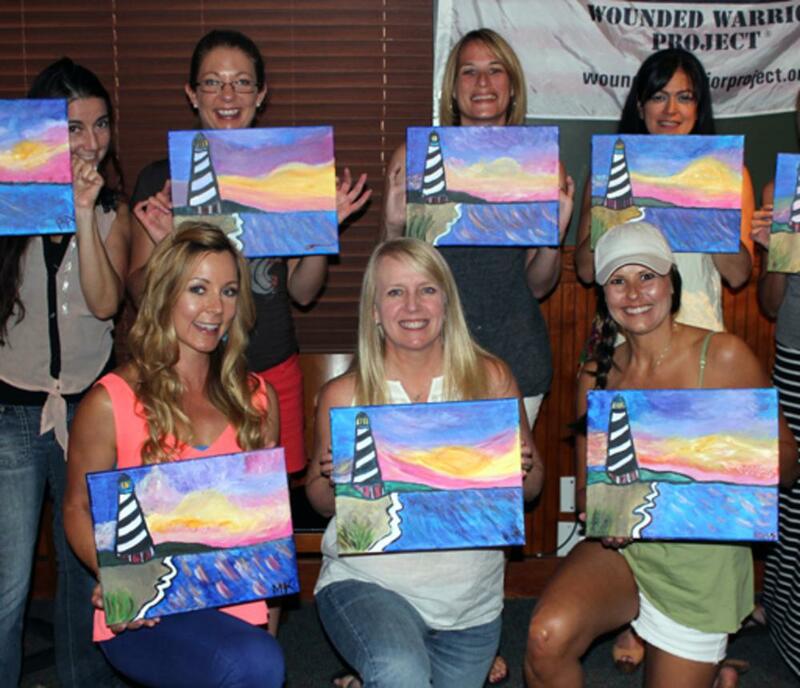 Mobile paint parties are a unique way to gather with friends and enjoy time together! I am located in the Hampton Roads area (Virginia Beach, Norfolk, Chesapeake, Newport News, Williamsburg, Portsmouth and Hampton). 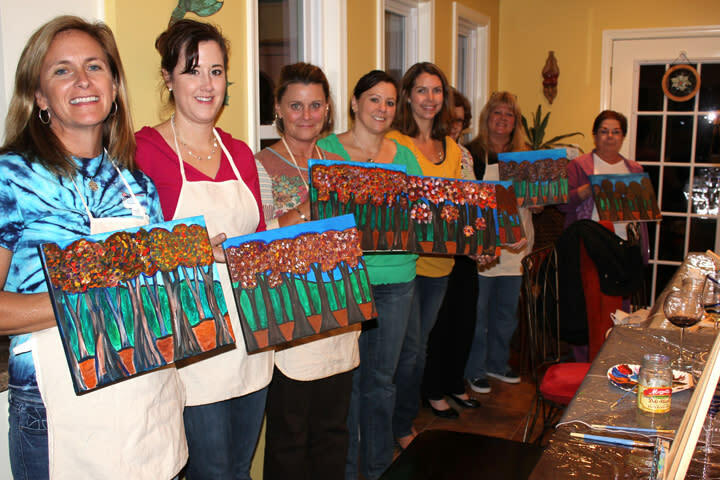 No need to sweat the small stuff, I bring the easels, paints, palettes, brushes, table coverings (everything you need to paint) to the venue where you are hosting the art party. I will set-up, instruct how to create your own painting and then clean-up. 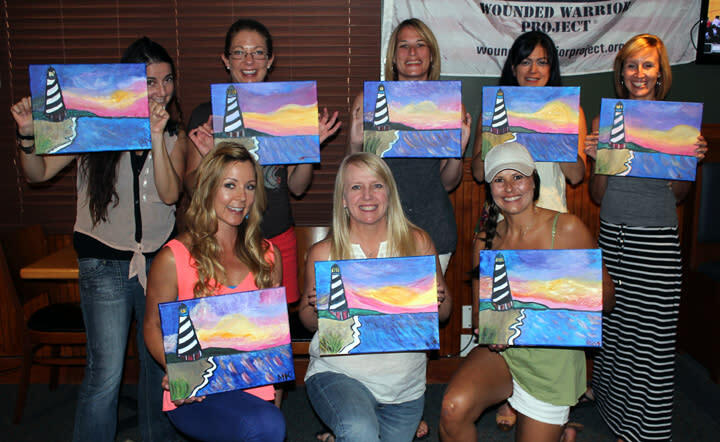 No former art instruction needed!Perfect for girl's night out, birthday parties, bachelorette parties, couple's night, bridal shower, baby shower, teambuilding events, fundraisers, church groups, reunions, dinner party and holiday parties. 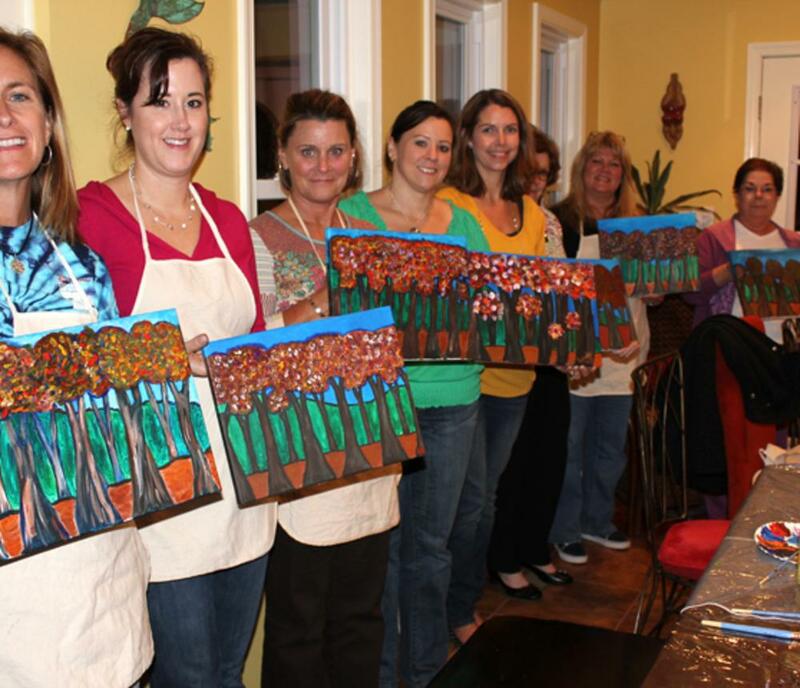 Just add your beverage and appetizers of choice and get ready to mingle and create!Here's how it works: 1) Pick a date and fill out the Contact Form, email me or call to check availability3) Invite your friends 2) Choose a painting from the Gallery 3) Get ready to have fun!